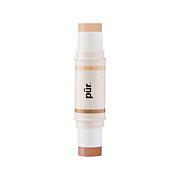 Does provide coverage to my hyper-pigmentation...one of the best and seems to last most of the day. The color is perfect for me. I love the No Filter! Definitely great with the powder but using it alone provides a a brightness and luminosity to the skin. At sixty something, I have learned less is more. Same with this.....use a light hand at first and blend with your brush. Will purchase again. I am so very pleased with this foundation. I have tried and used many other powder foundations and none of the others are like this. I love the color (Blush Medium). I am a cool tone; I cannot do medium (I am fair) but fair tends to be too light and light is more for warm skin tones. This foundation is a perfect color for me and it has great lasting power. Also, I am an older user (60) and my skin is still a little oily. Liquid foundations are lost on my skin within a couple hours (even with primer). 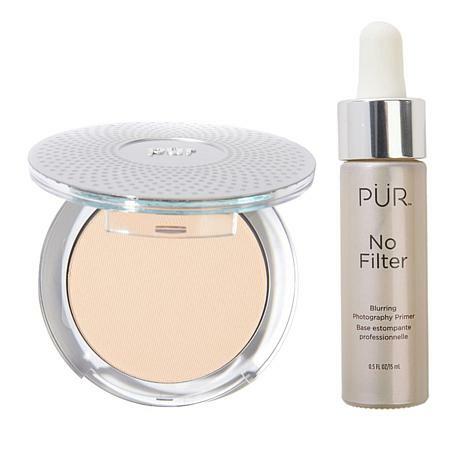 The No Filter Primer lends a nice brightness to my skin. Thank you for offering such a great product. I was so looking forward to using this product but I was so disappointed. The color shade was very unflattering and everyone wanted to know why I changed my make-up. Please do better. I ordered light. Received email there was a mix up on colors and to return if wrong, I received porcelain and did just that exchanged for light. Well guess what I received porcelain for the second time!! Hsn should send me the light but customer service instructed me to return since they cannot guarantee my next exchange will be correct. Terrible! Dont sell this in light if you cannot get the order correct!